Lewis Fry Richardson dreamt that scientific weather prediction would one day become a practical reality. Before his ideas could bear fruit several advances were needed: better understanding of the dynamics of the atmosphere; stable computational algorithms to integrate the equations; regular observations of the free atmosphere; and powerful automatic computer equipment. By 1950 advances in all these fronts were sufficient to permit the first computer forecast to be made. Over the ensuing fifty years progress in numerical weather prediction has been dramatic. Weather prediction and climate modelling have now reached a high level of sophistication. 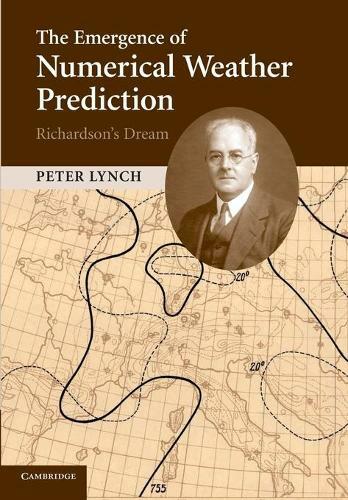 This book, first published in 2006, tells the story of Richardson's trial forecast, and the fulfilment of his dream of practical numerical weather forecasting. It includes a complete reconstruction of Richardson's forecast, and analyses in detail the causes of his failure. This will appeal to everyone involved in numerical weather forecasting, from researchers and graduate students to professionals.